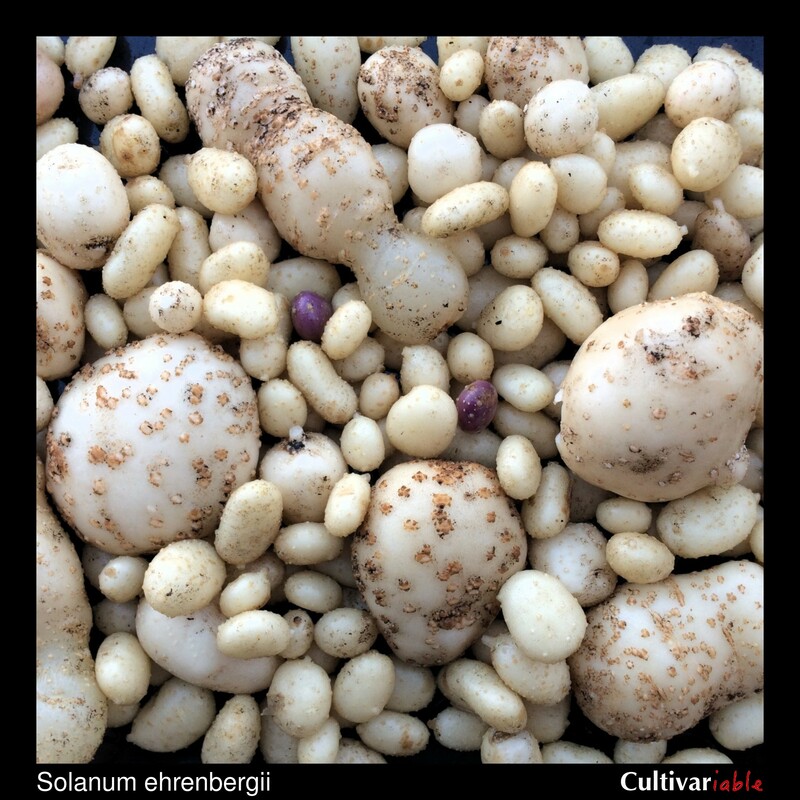 Cimatli are the tubers of two closely related species of Mexican wild potatoes: Solanum cardiophyllum and S. ehrenbergii. It isn’t completely clear if cimatli was domesticated, but it was used by the native people of Mexico and is still occasionally grown and sold at small scale. There was (and still is) potential for a North American domesticated potato based on different species. These species cross easily, so I treat them as one population. These packets contain 5 tubers of multiple phenotypes. You can select the ones that perform best for you or, better yet, allow them to cross pollinate and save the seeds to develop your own varieties. The phenotypes have been selected for palatability and size. Most have low glycoalkaloid content and are not bitter, although you should still exercise a little caution when trying them for the first time under your growing conditions. If they are bitter, just don’t eat them. Size is improved over wild types, including a few USDA lines that are very large, but most are about an inch long. I recommend simply roasting them whole with a little olive oil. Some phenotypes don’t like to get wet and produce ugly lenticels in wet soil, but they remain perfectly edible. Cimatli has very long stolons – up to three feet. If you allow them to grow wild, you’ll never find them all. 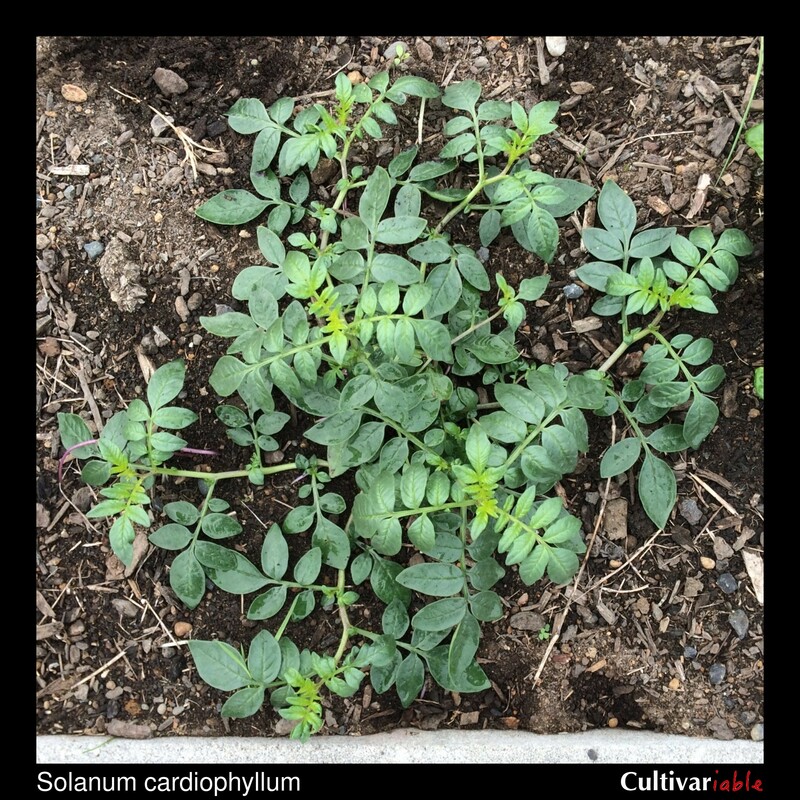 There is potential for this and most other wild potato species to become invasive where the ground does not freeze. Because of that I recommend growing either in pots or in fabric pots in the ground. 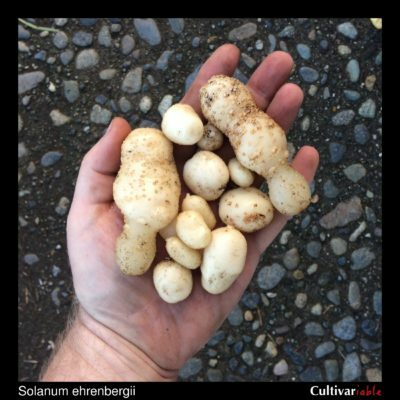 Like all wild potatoes, these are for adventurous growers and breeders, not for market gardeners. They are too small and low yielding to make much of a marketable crop.